The rains continue into Friday in Mumbai, and as seen from the wind charts, Mumbai is having a dual effect of 700 mb winds (SW) and now, a rush of W/SW winds at sea level, due to effect of the Bay Low , BB-1. Winds are rushing at sea level almost thru the peninsula into BB-1. Friday Mumbai will get heavy downpours , and may relent, ease out at night. But day time showers will aggravate the flooding scene, as will measure around 75-90 mms by 8.30 pm. Night will see lesser rains. Saturday will see intermittent showers, but may measure less at around 45-50 mms in the day till 8.30 pm. Sunday, will also be similar to Saturday, but rainfall increasing on Sunday night. Saturday and Sunday (night included) may see around 200 mms accumulated till Monday morning. Heavy rains expected in A.P.,Telengana and adjoining Vidharbh this weekend. Estimates of all Models Washed off...Mumbai does it Again !! Rainfall in last 24 hrs (ended 8.30 am) and Seasonal Total...Santa Cruz 283.4 mms ( 536.4 mms), Vagaries 221 mms 526 mms) and Colaba 208.8 mms ( 514.5 mms). Ratnagiri 135 mms and Panaji Goa 102 mms in same period.Aurangabad got a downpour on Thursday Night dumping 59 mms in 2 hours. UAC in the Arabian Sea SW of Gujarat coast also persists...Now descended to 850 mb level. Mumbai : .as the UAC Deepened, we see a strong gush of SW winds at all levels (upto 700) hitting the North Konkan Coast. We also get Vagarians reporting heavy rains in the Northern Outer Townships like Mira Road. Friday/Saturday/Sunday Mumbai may see very frequent intermittent heavy showers, with gusty winds. I would put a cumulative average rainfall of around 190-210 mms (for Friday/Saturday/Sunday). No rains in Surat and Pune till 8.30 pm. Ghats Rainfall courtesy Pradeep John. Rains approaching Hyderabad,,seeing rains Thursday Night..
though coast is receiving good rainfall, the ghats are getting less rain . Even interior maharashtra is getting negligible rain . What is Mumbai avg rain per year? Mumbai Scruz recorded 124 mms rainfall till 11.30pm today. Once again personally think Mumbai could get 150 mm rains in next 24 hours and total of more than 300 mm rains till Monday. 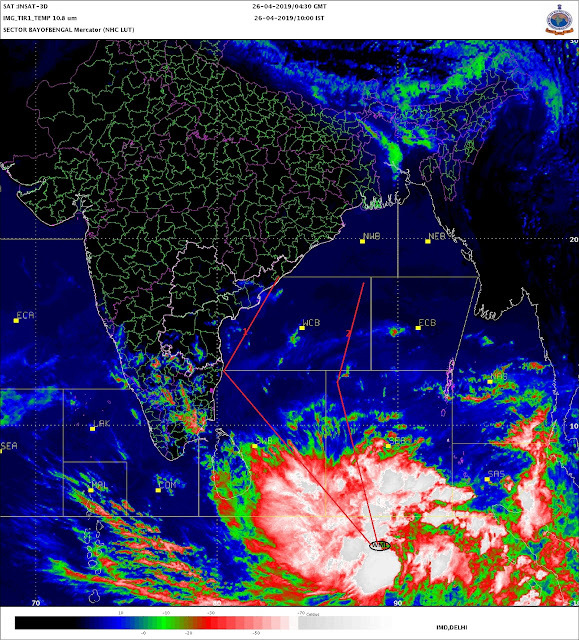 Combination of UAE and bay low dumping lots of rains in Konkan area. And it us still continuing..sud cross 150 mm by morning. @Rajesh @Abhijit From where you getting latest Mumbai rains figures? MCMG website which was giving rain figure last year is not working for me. Please Share, Thanks in advance. 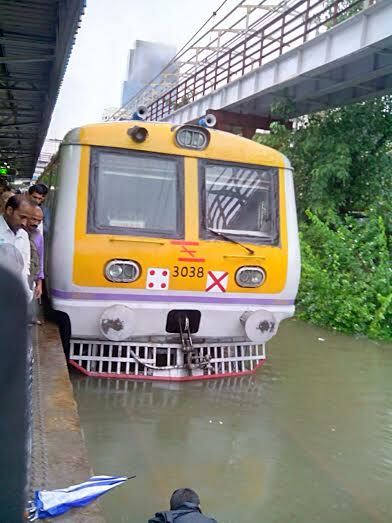 Mumbai Scruz recorded massive 254 mms rainfall till 5.30am today!! Navi Mumbai also no less - must be above 200mm in 24 hrs... raining like roaring angry waterfalls for past 48 hours... at this rate june itself may touch 1000mmm - repeat of 2013 june..lakes may start briming by june itself ... actually no models predicted these extreme rains??? Trains are late ..seems harbour line is not running..
Hi Abhijeet! From Where yo get latest rains for Mumbai? Can you give link please. MCGM website used to cover Mumbai rains last 24 hours. Not anymore. Two different story of two mega cities of india, mumbai massive rains and continuing while Delhi looks for another 40℃ with humidity. @ SSET. Don't you feel every monsoon you repeat the same story. JUNE TO SEPT is West coast heavy Rain period which is normal. Water falls should start in Ghats as they help in Dam filling all across Peninsular India. Tamil Nadu & SI Karnataka are rain shadow region in SWM which is also normal. Bangalore avg June rainfall is just 100 mm. So how you can expect 200 mm in 1 day there ?? Every place has it's own features as per geographical location. So don't repeatedly compare Konkan rains with SI Karnataka or TN..
SVT: We pick up the normal figures from IMD site. But the latest figures are obtained directly from IMD. Vagaries' contacts and known officers in dept give the info. There are quite a few from IMD , Mumbai, Pune and Chennai and maybe other stations who are aware of Vagaries and read it. Hyderabad estimation seems to be gone wrong. Hyderabad did receive some showers yesterday. But it is less than 10mm and not as estimated of 70mm. What's gone wrong ? About less rains in Bangalore from SSET.. It has already received around 50% of annual rainfall by end of May. You ask any Bangalore person, they say enough rains for now. Thanks. So no rain figures by BMC this season? Mumbai must have got 350 mm rains in last 30 hours. I am expecting another 250mm in next 48 hours. Are you going to update forecast for mumbai in next 48 hours? Dattaraj: Hyderabad missed out on the showers, though they were in the vicinity. Seeing heavy rains in Telengana and Hyderabad next 2 days. Pune got rains in the morning but now its almost no signs of rain :( also as per this site, ghat section has also not getting rain today. Your forecast or rain in pune of friday was on spot, rain started in early morning but it has stopped around 8. What is your forecast on ghat section? And what would be the reason behind ghat section not getting enough rains. 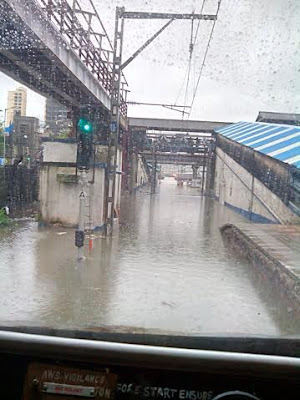 Mumbai beats all previous record for wettest june (highest rain in 24hrs!!! including 2013 june. Santa Cruz created the record with 181mm on june 11 2013, 184.4mm on June 12 2011, 209.6mm on June 24 2007. And now as per vagaries all time high of 290mm on june 19 2015. Mumbai is almost now 600mm and with 10 more days to go reaching 1000mm will be at ease. Finally rains have eased a bit. Still heavy rains forecast for next 48 hours. Rajesh Sir- Why so less rains at the lakes area supplying water to Mumbai. Will it rain heavily there? ?